I am now working out of ClaySpace Studios in Margate, which we opened in Ocober 2015 as a not for profit social enterprise, to provide ceramics studio space, classes and workshops for the whole community. I’m currently making trays and vases from thick, marble-like slabs of porcelain and throwing bowls, cups and various tableware. 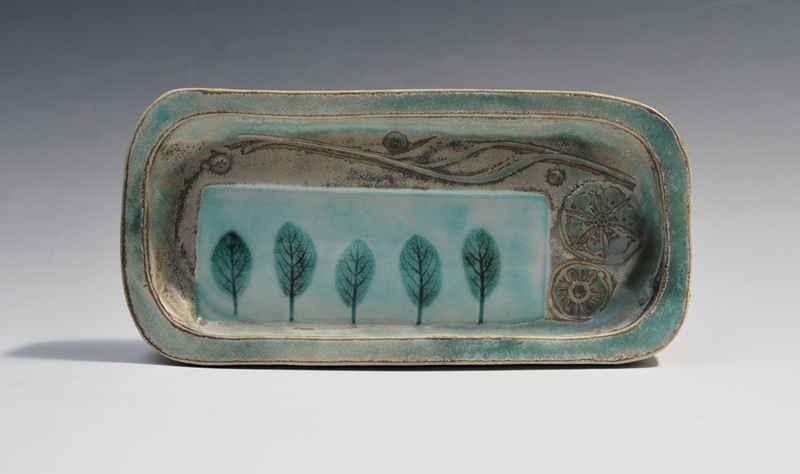 I make pots to be handled and used, each having it’s own story. I enjoy making in small batches and each piece is spontaneous and echoes all the work that came before it. 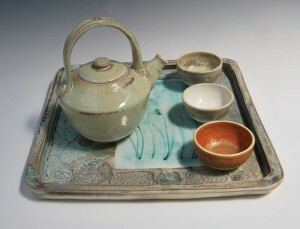 I’m fascinated by the tactile qualities, richness and subtlety that can be achieved with soft clay and a contrasting mix of rich glazes working together. 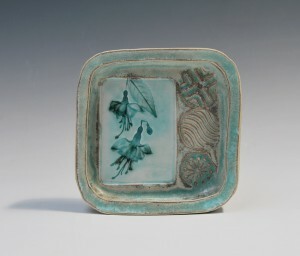 The clay is layered with slips, stamped, impressed and drawn into. I love impressing plant forms into the soft clay surface both as a personal record of a time and place but also to show the delicacy of both the glazes and of the natural forms. 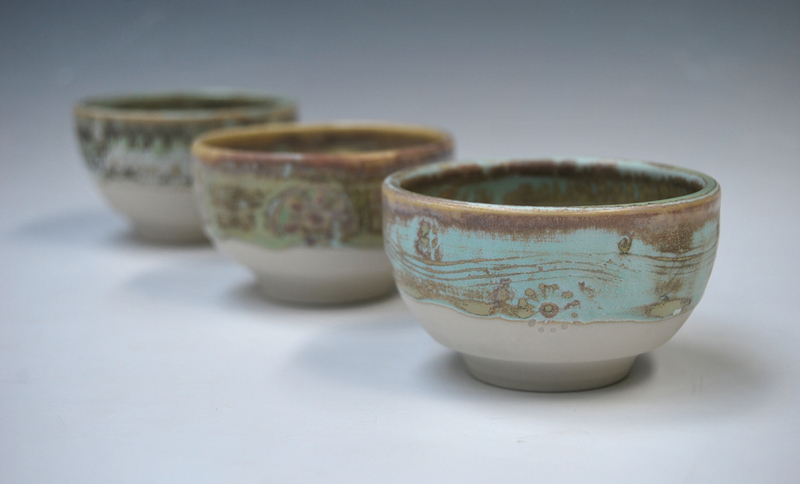 Glaze development is also instrumental in the natural evolution of my work. I am also a committed and experienced teacher with over 20 years of invaluable experience in education. 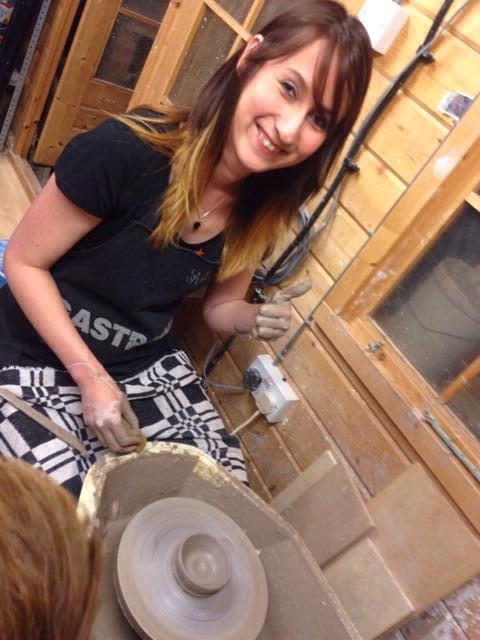 I have taught Ceramics and Art & Design classes across a very wide range of ages, backgrounds and abilities. I have a great depth of subject knowledge and take great pleasure in communicating my passion for ceramics with my students and helping them to develop their own personal work.